CrimeTech is pleased to offer an outstanding array of law enforcement, forensics, crime scene investigation, laboratory and educational products. With the best names in the industry, you can be sure you're getting superb quality at competitive prices. 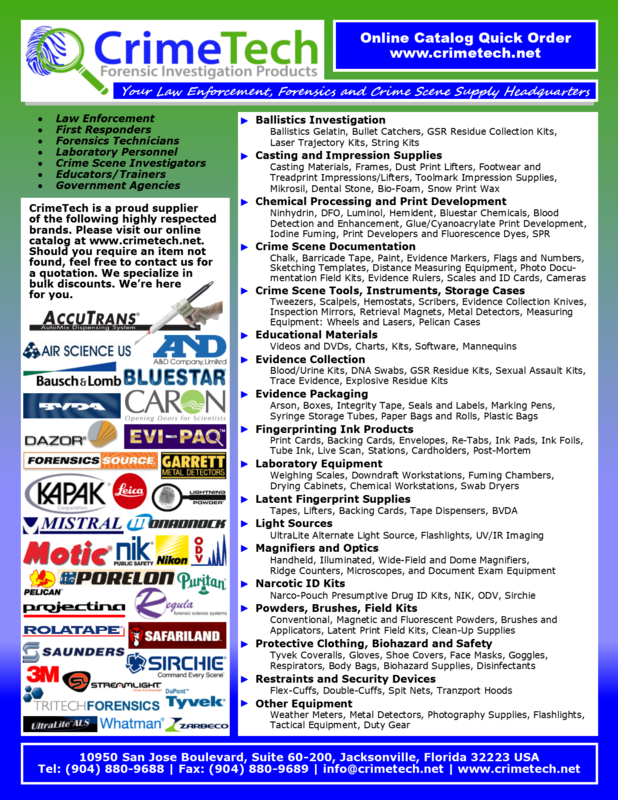 Click on our Line Card to find more information about our brand and product offerings. We are happy to have you as part of the CrimeTech family and look forward to working with you. Your satisfaction is our #1 goal. CrimeTech is certified by the State of Florida as a Minority Business Enterprise (MBE), specifically Woman Owned Business.